Ken has been flying since 1967, when he first soloed a Schweitzer sailplane on his 14th birthday. He flew competition aerobatics in the mid 70’s, and after taking time off from flying to raise his two boys, he embarked on a major building project. He bought a high performance RV6 kit plane, and after almost 4 years of continuous construction, he flew the RV6 for the first time on April 26, 2002. Since then, he has put over 1000 hours of trouble free time on his aircraft and has enjoyed traveling with his wife Marilyn throughout the western states. 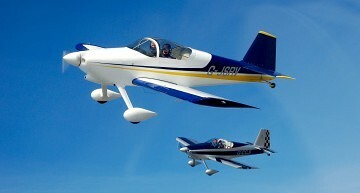 In 2004, Ken merged his 2 hobbies of flying and photography. In 2010, after retiring form a 40 year retail career, Ken was able to start enjoying his combined passions of flying and photography on a full time basis.